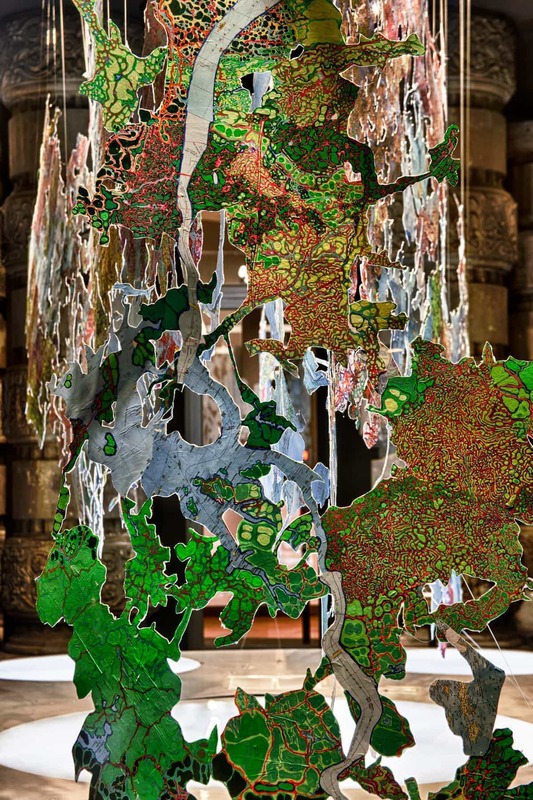 Randomland, Flinn Gallery, Greenwich Ct.
Randomland is constructed from fragments of randomly collected cartographic sources. 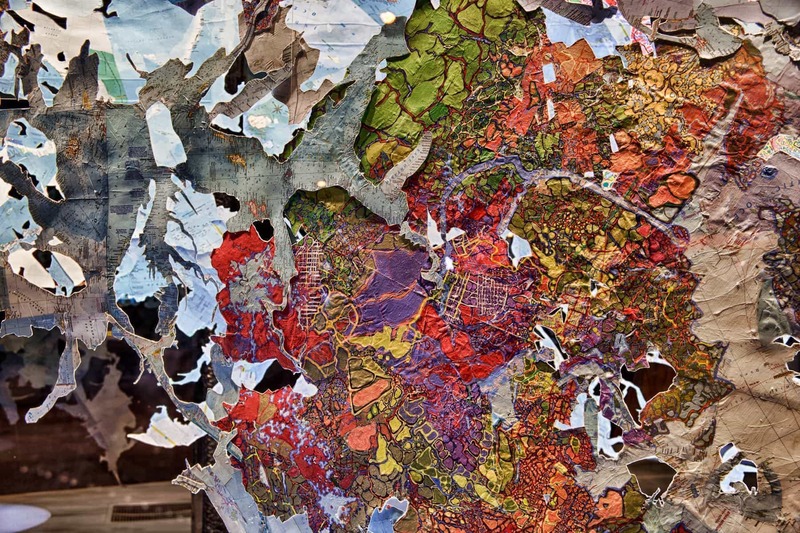 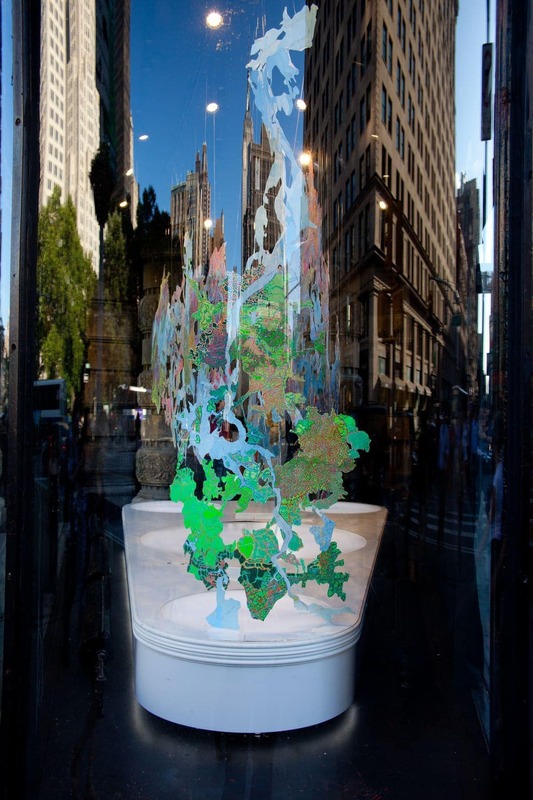 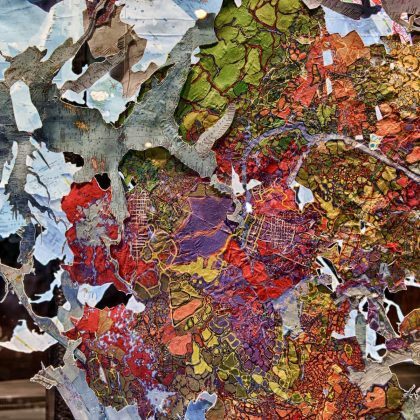 The unexpected juxtapositions revealed by maps of cities, parks, forests, wetlands and waterways reflect the current global collage of instant cyber- and cellular communication where physical location becomes increasingly irrelevant. 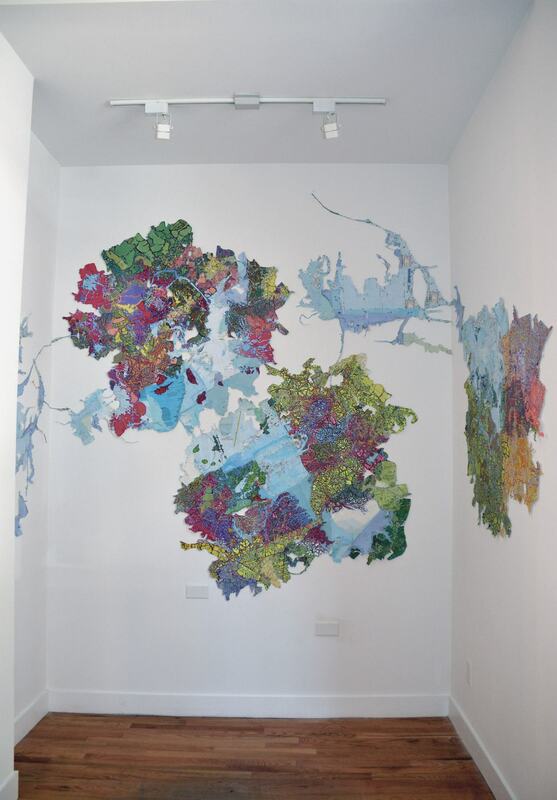 Governed by aesthetics of line, shape and color representing roads, rivers, contours and boundaries I reveal patterns in these manipulated formations by applying acrylic paint using a self-imposed color system informed by the maps’ legends. 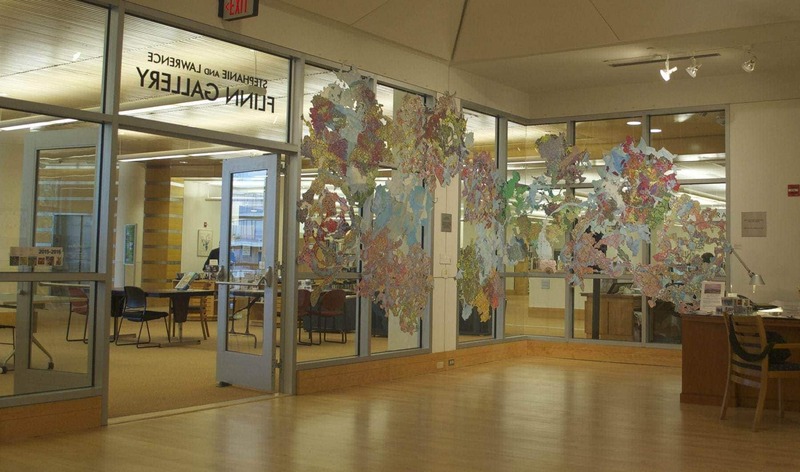 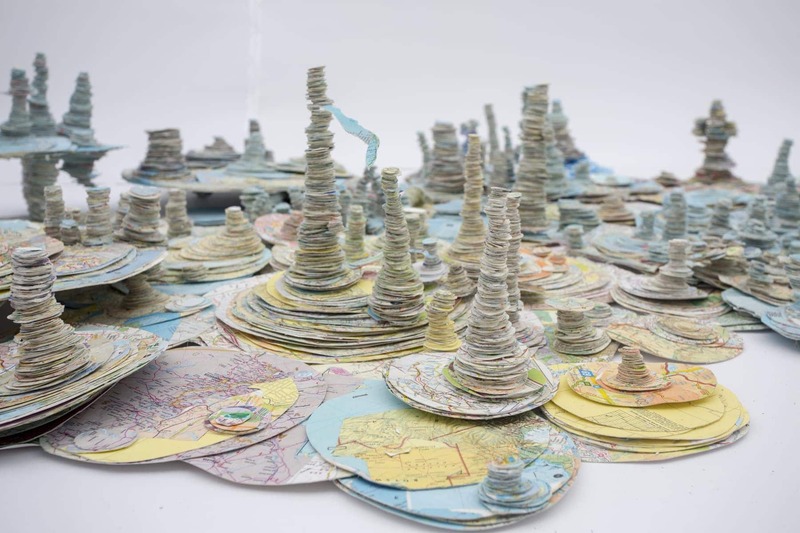 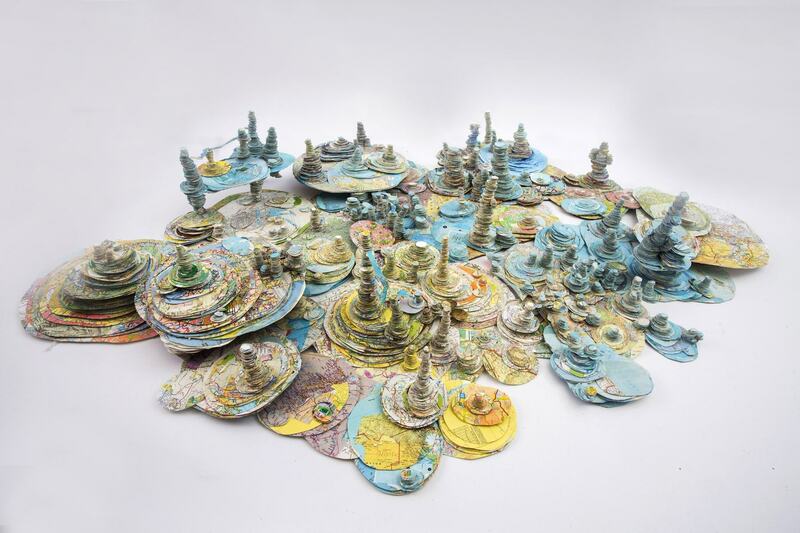 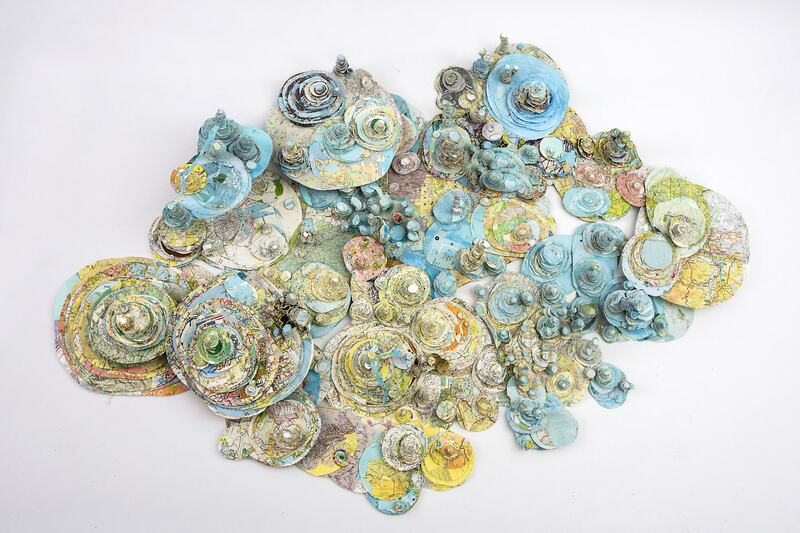 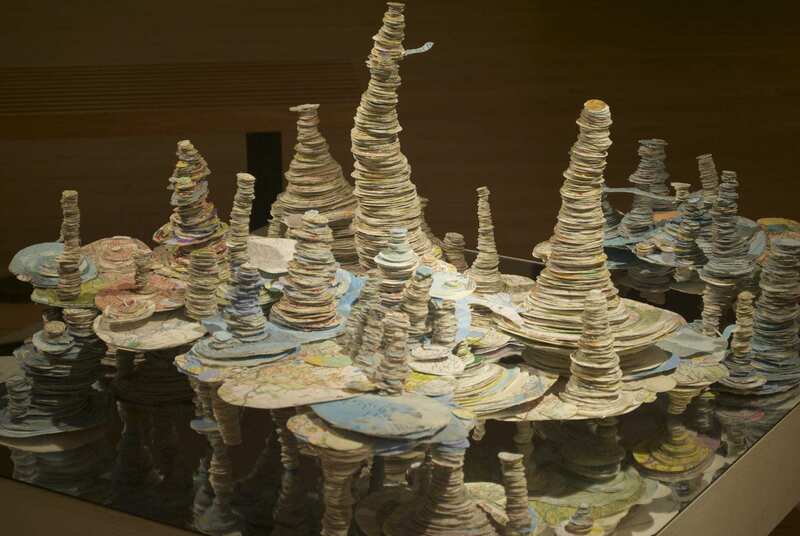 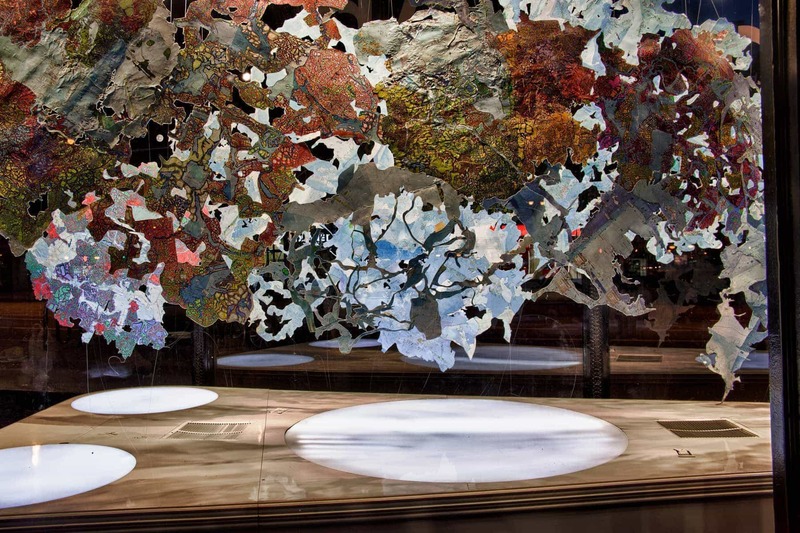 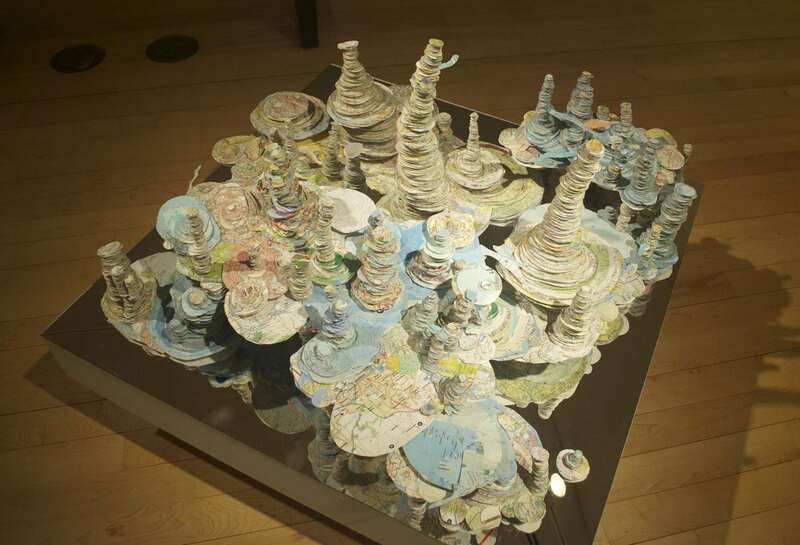 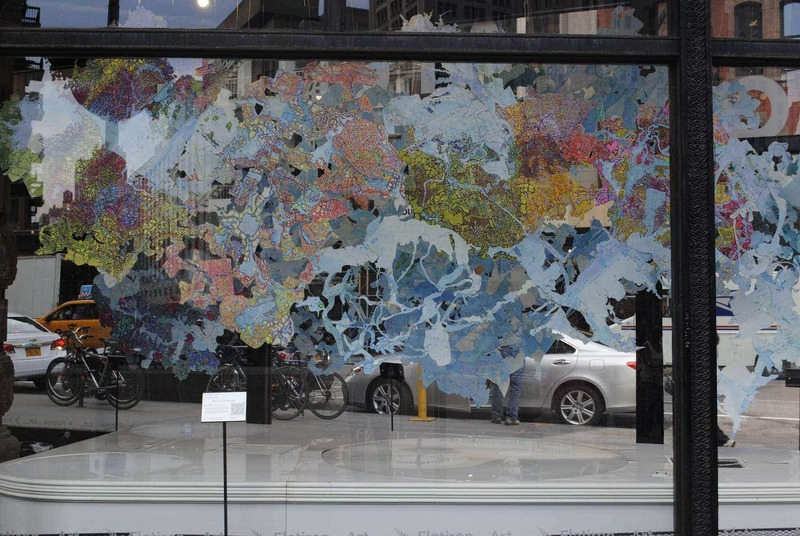 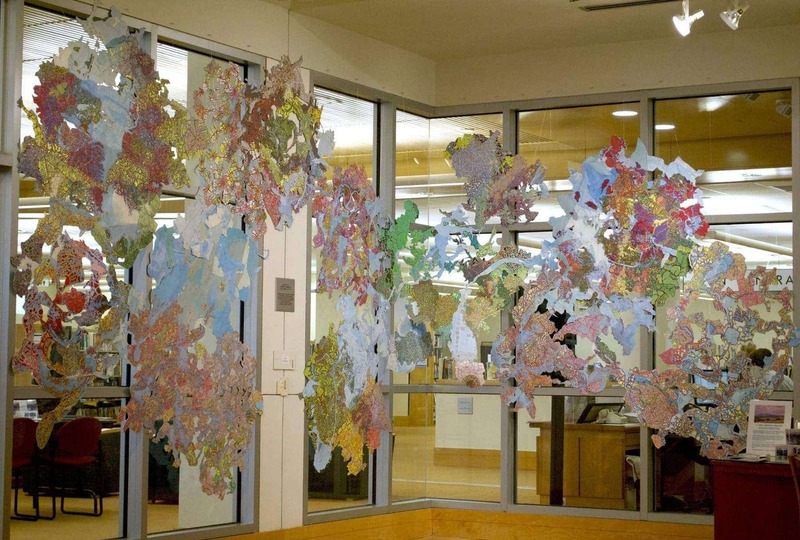 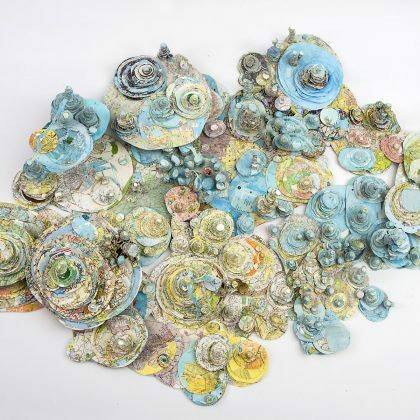 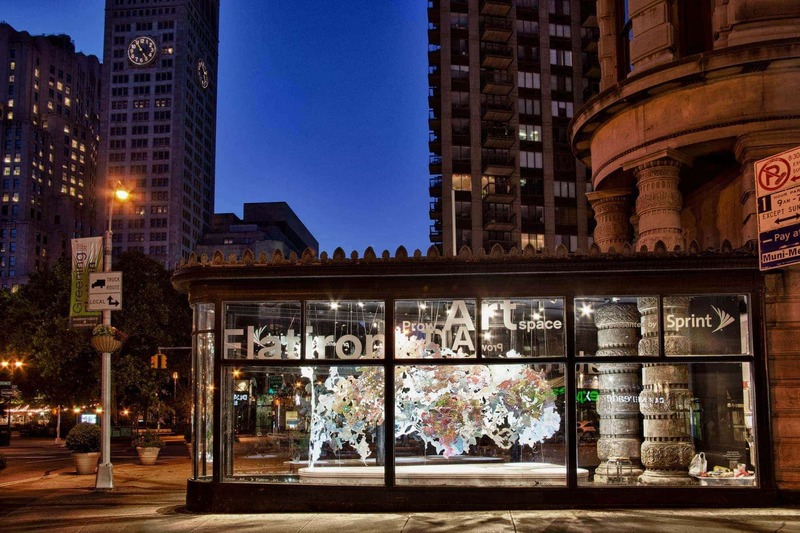 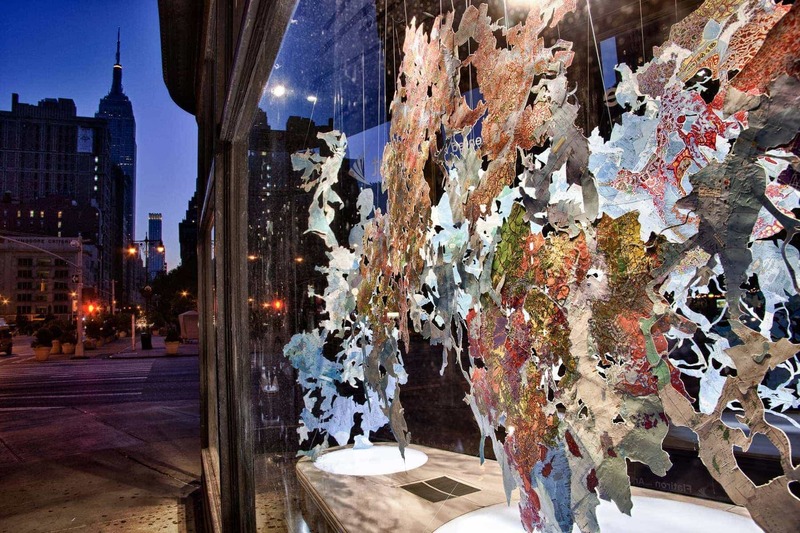 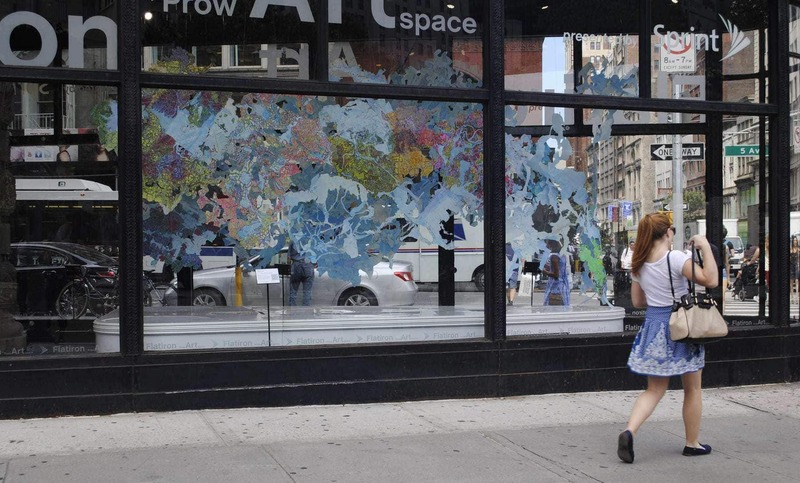 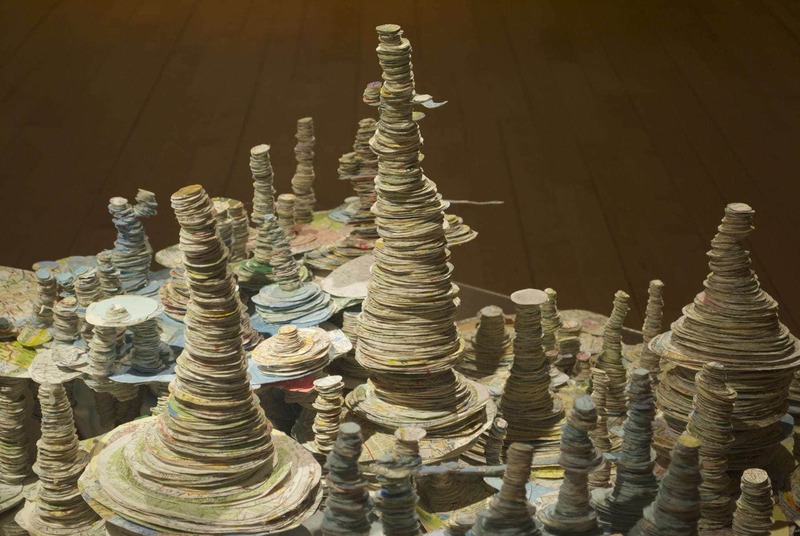 The Fracked World installation uses discarded, used and found maps from around the world, collaged and stacked to depict how the earth might look when it has been scoured and hollowed out by the dynamic system that constitutes humanity’s endless quest for resources.